Even though it will not be Russia 2018 World Cup-based, this sport has a huge screen that surrounds the playing field and provides images and projections of high quality so fans don't miss any detail of the party. With 33,000 seats and inspired by its structure in the Coliseum, the Russian stage of Krasnodaropened just a year to host the 2018 soccer in Russia World Cup, may not host this sporting event by having 2,000 seats less than the provisions of the FIFA. While the stadium has a spectacular Led screen, so far never view in such facilities, with optimum visual quality offered details fans, from formations, repetitions of game actions up to stunning dynamic projections which are managed with the Watchout system of Dataton. 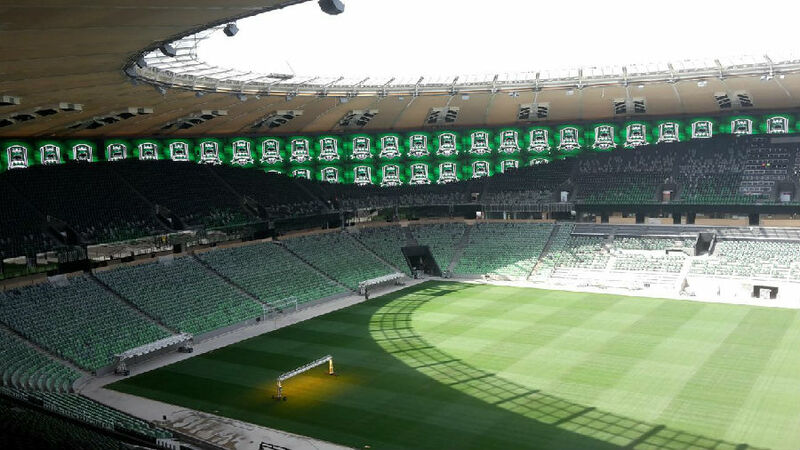 This curved screen developed by the specialist Unilumicovering 4,800 square meters to cover around the inside perimeter of the stadium, is based on the Ustorm system of 16 mm. from the manufacturer for their fixed Led display systems from outside to provide 8,000 nits brightness. 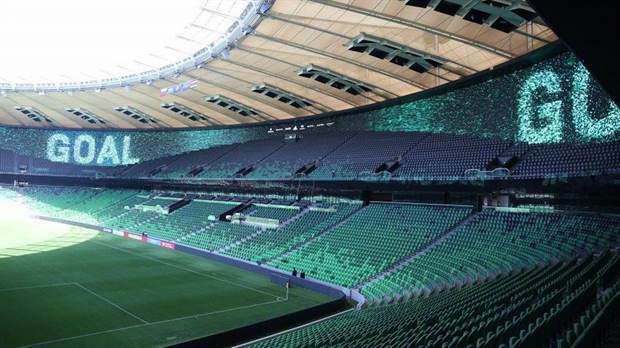 Besides a system reliable and robust, one of them requirements of them responsible of the stadium was the capacity of brightness of the screen and its scale of grey, to keep a display of image optimal in conditions of high lighting. Although, as designated Unilumin makers, the real challenge was dealing with the curved shape of the screen, which was required to cover the entire inside of the field. 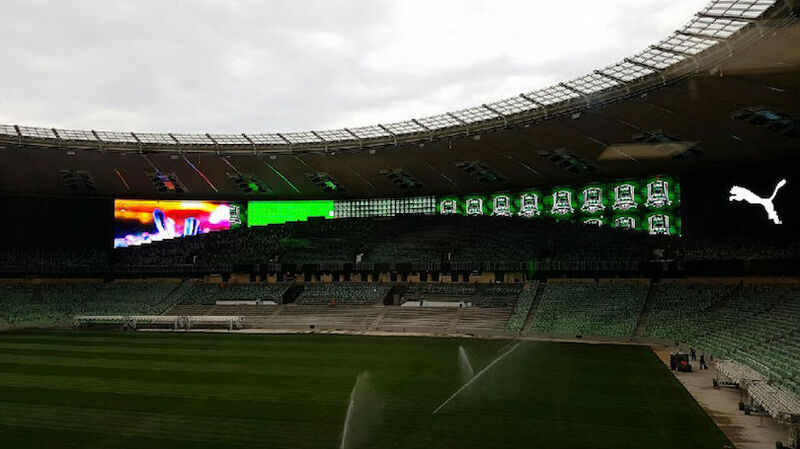 "The r & d team worked hard and managed to design several cabinets and modules with custom forms to ensure that the stadium and its Led display cover the 4,800 m2 keeping its wavy shape without compromising image quality."